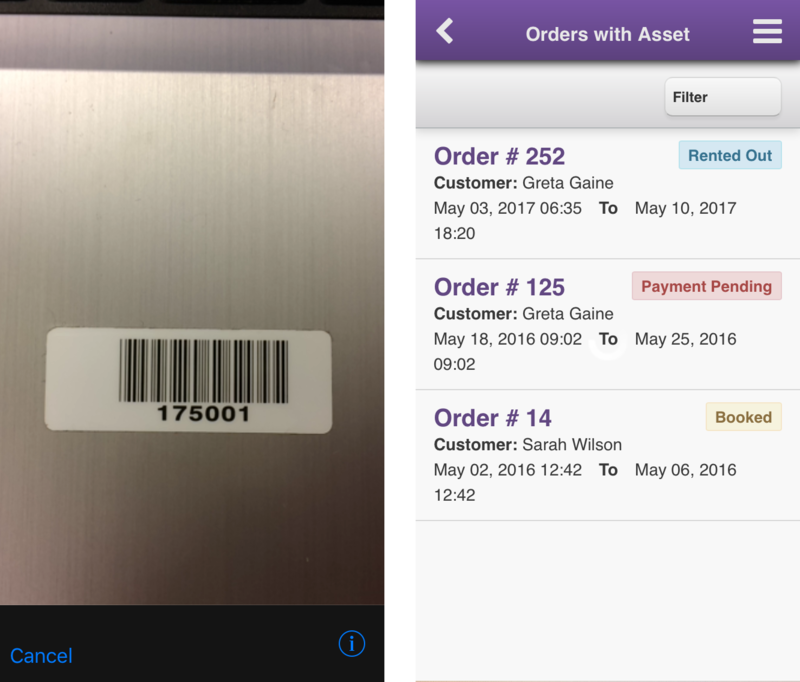 You can use the EZRentOut mobile app to scan QR Codes and Barcodes with ease. For recommendations and best practices concerning Barcodes and QR Codes, click here. 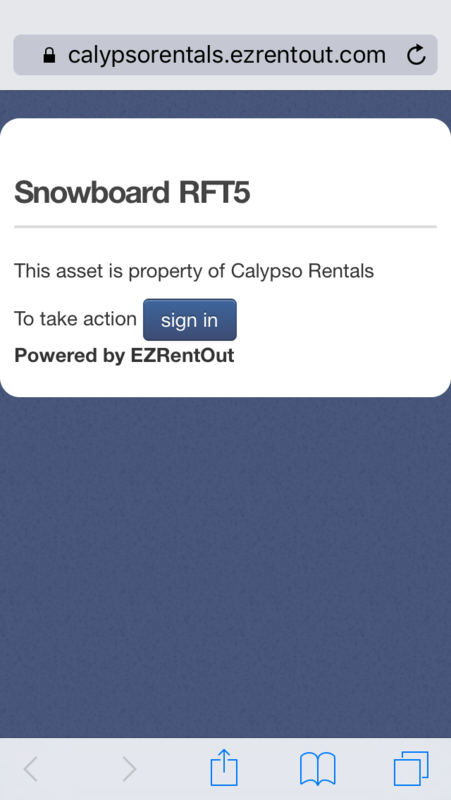 The EZRentOut mobile app uses your phone’s camera to scan the Barcodes and QR Codes of rental and sale items. 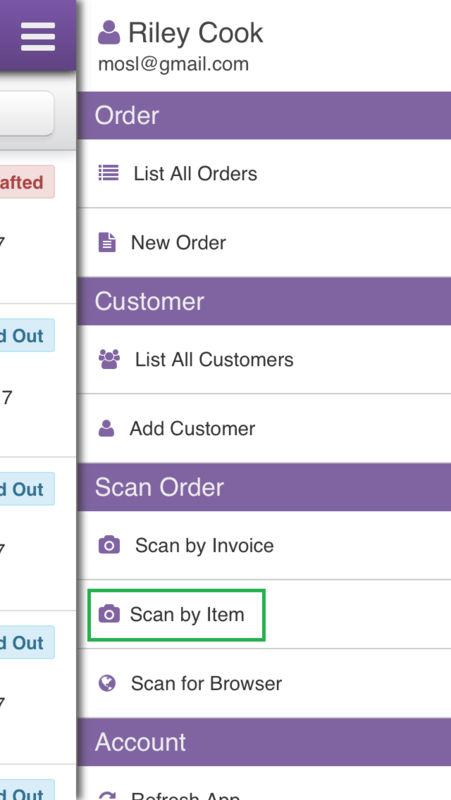 Not only can you scan items into Drafted orders quickly using the app, but you can also scan the QR Code on an invoice to pull up an order and take actions on it. In addition to this, you can verify items in orders with a quick scan. Let’s take these one at a time. 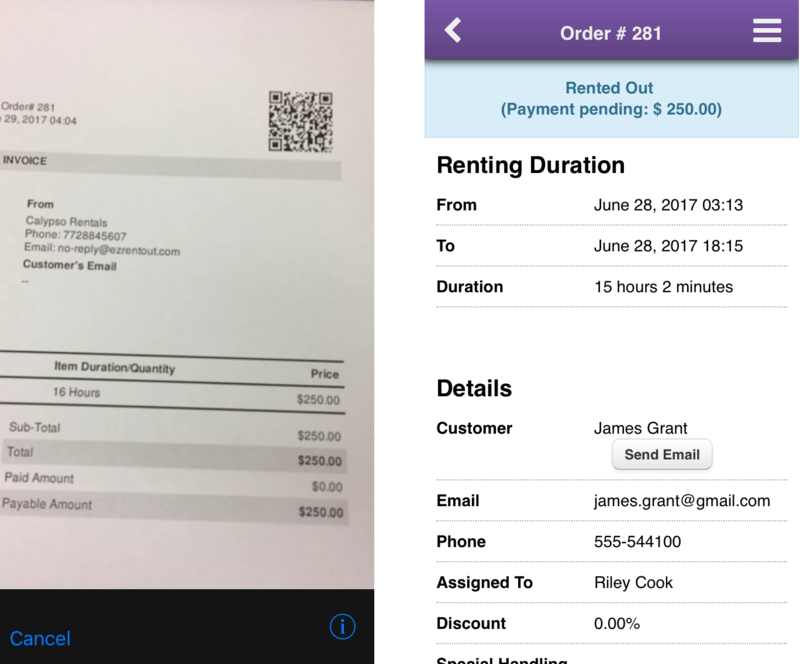 Next, scan the QR Code generated on your invoice. Please note that although the default invoice template already contains QR Codes, your customized template might not. To learn how to customize invoices or other Order Printouts, click here. This can be a great way of zoning in on specific orders quickly. Please note that Active orders refer to any orders that aren’t Completed or Voided. Scanning items in this way can help get a sense of all the commitments relating to a specific item. Here’s a comprehensive list of recommended hardware you can use for Barcode or QR code scanning. This can also come in handy if an item has been misplaced or lost, as it provides information that could help you recover the asset. One of the best parts of scanning with the EZRentOut mobile app is being able to add dozens of items to an order quickly! You can do this by drafting a new order, and then scrolling all the way to the bottom to the button that says ‘Add Items to this Order’. You can click the ‘Add Items to Order’ button at the bottom, and you’re done. This can allow you to put your best foot forward during those rush hour rentals! 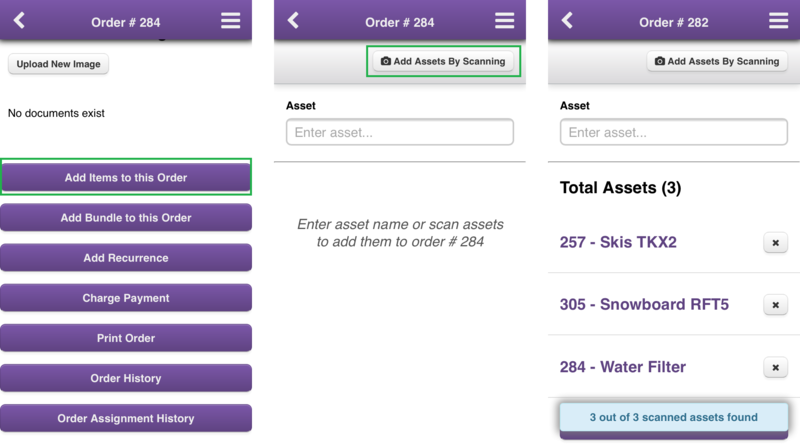 You can also use our equipment rental software app to ensure items are where they need to be when fulfilling orders. To learn more about this, read our blog on Order Verification. Of course, you can also use a third party Barcode or QR Code scanner to scan items in EZRentOut. Here’s how to set up Barcode scanners, as well as how to set up QR Code scanners. This entry was posted in [Support] and tagged Barcode, QR Code, Scanning by admin. Bookmark the permalink.